in front of new clients looking for your services. no matter what services you offer. to increase its visibility and attract new clients? We will evaluate your situation, and come up with the most effective local marketing solutions to reach your ideal clients. We will implement a multi-faceted marketing plan to maximize your business’s local visibility, putting you in front of new clients. We will monitor implemented marketing solutions, ensuring that they remain effective and that your business stands out in local search. Is your business having a hard time getting new clients? Super Software provides a variety of top-notch services designed to help you reach more clients, and make more money. 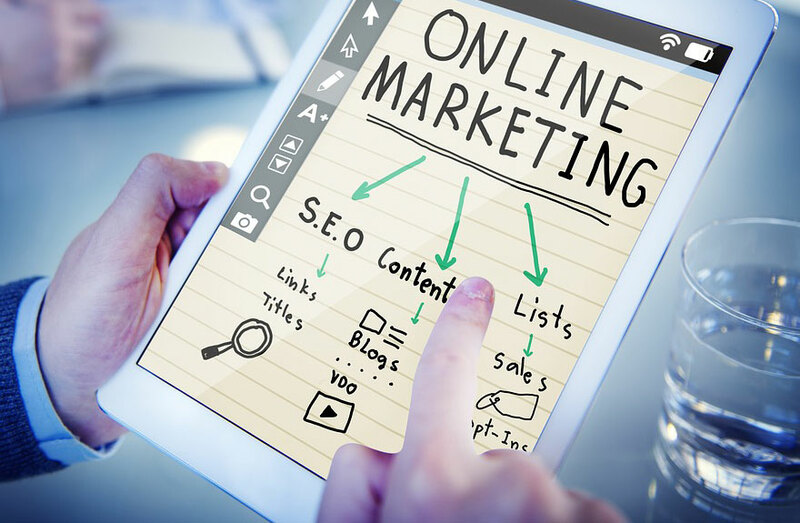 We offer the following effective, affordable marketing solutions: video creation and boost; custom website design and development; Search Engine Optimization; email marketing; and Every Door Direct Mail (EDDM). We have been in business for 24+ years, and pride ourselves on providing the best possible service we can to every single client. Ready to Attract New Business? Click on the button below, fill out the form and one of our local marketing experts will give you a call. Let us help you create high-quality videos for YouTube that you can embed on your own website. Good videos are a great way to make your business become more visible in search engines. Whether you want to create a video to explain your services or showcase client testimonials, Super Software will help you evaluate your needs and come up with the perfect video solutions for your business. Super Software provides top-notch custom website design and development for local small businesses. Your website is an effective tool you can use to showcase your services, office and even staff. Having a well-written, informative site has the ability to persuade your clients to trust you before they even talk to you. We design clean, modern sites that work perfectly no matter what device they’re on – desktop computer, tablet or smart phone. A beautiful website is meaningless if you cannot be found by clients. That’s why you need Super Software’s top-notch Search Engine Optimization services. The website design professionals at Super Software stay up-to-date on the latest search engine algorithms, and have the knowledge it takes to get you targeted traffic on your website. It’s not just about getting visitors; it’s about getting the right kind of visitors who are interested in the services you provide. Email marketing is an extremely effective way to get new clients and sell your services. We’ll create calls-to-action on your website that get your visitors to enter their email address. Once they’re on your email list, you can keep them updated on the latest happenings, new services you offer, and most recent blog posts, among other things. Super Software will craft a unique strategy for your email marketing campaign, and help you choose the best software for your needs. The foundation to great local SEO starts with an optimized Google listing. Super Software has perfected the creation, verification and optimization of local listings for all kinds of businesses. Since Google receives about 68% of all searches on the internet, it is vital that your business has a professional, accurate appearance in the search results. We follow a thorough process to ensure that your listing is optimized, and do the following: choose the proper categories for your business; write keyword-rich content for your business description; add high-quality images; add complete business information – name, phone number, address, website URL, and email; and include your hours of operation. In addition to Google local, we complete the same process on Bing Places. NAP is essential for businesses looking to rank well locally in search results. Google uses the data to determine which businesses to show in geo-targeted search results (SERPs). Super Software will ensure that your NAP data is accurately displayed both on your website, as well as on other sites on the internet (Google+, Facebook, Yelp, Yellow Pages, etc.). By having accurate contact information in a number of places online, you are showing Google that you are a legitimate, reputable business. The more “local citations” you have with accurate information, the better in terms of visibility for your business. Super Software can compile extremely effective “snail mail” lists that you can use to target specific types of local businesses. We can determine the best areas where you will have the highest chance of success with your Every Door Direct Mail (EDDM) campaign. Our service is super-affordable and highly-targeted. Don’t waste time with your direct mail offers, send them to those who are most likely to purchase your products and/or services. Super Software has served 100s of local businesses in Rockland, Westchester and Bergen Counties for nearly a quarter century, and is super passionate about all things technology. We stay on the cutting edge, and offer a wide variety of affordable solutions for all kinds of technical challenges your business may be facing. Our services are more effective and less expensive than the competition’s. We are a tech firm, not a marketing firm. Marketing companies put tedious work into getting you exposure, whereas we use technology to take the work out of the equation.